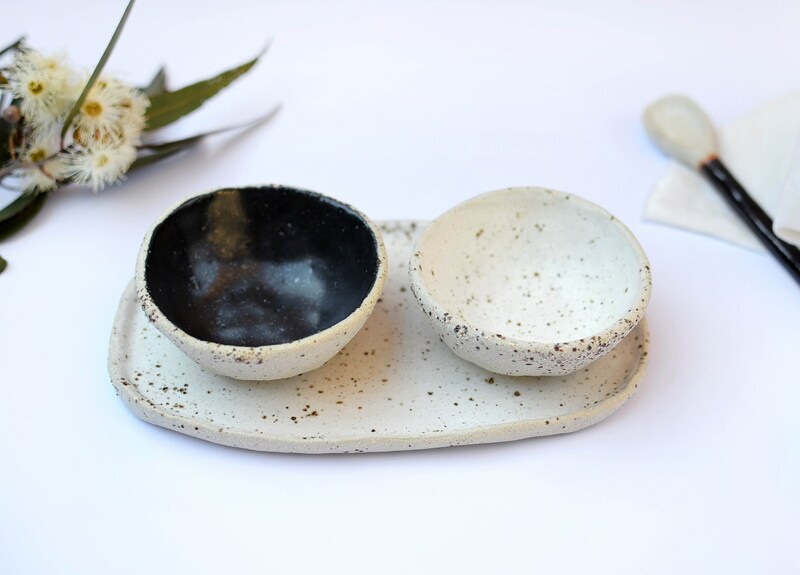 Made from gorgeous speckled clay, this sweet serving set will make a statement on your table and is perfect for serving condiments, dip, sauces, salt + pepper or to just be a decorative addition to your interior space. 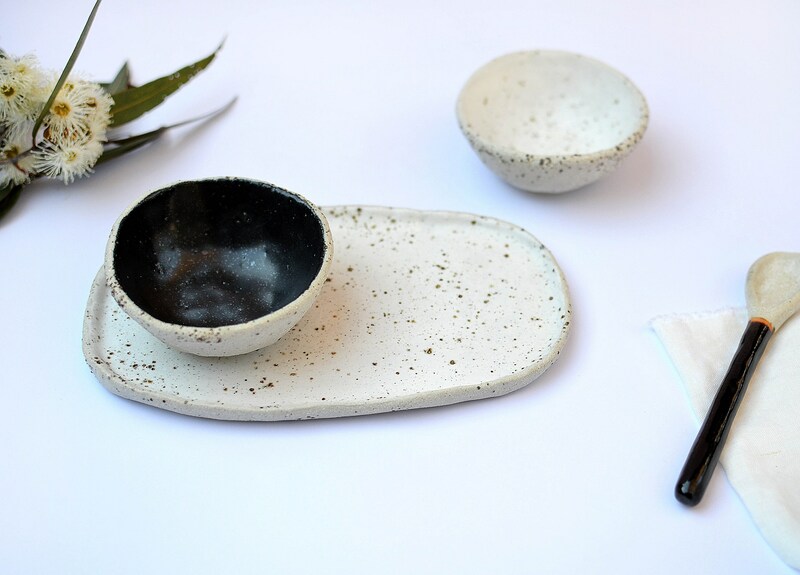 The set includes 2 bowls and one tray and you will receive the one pictured. 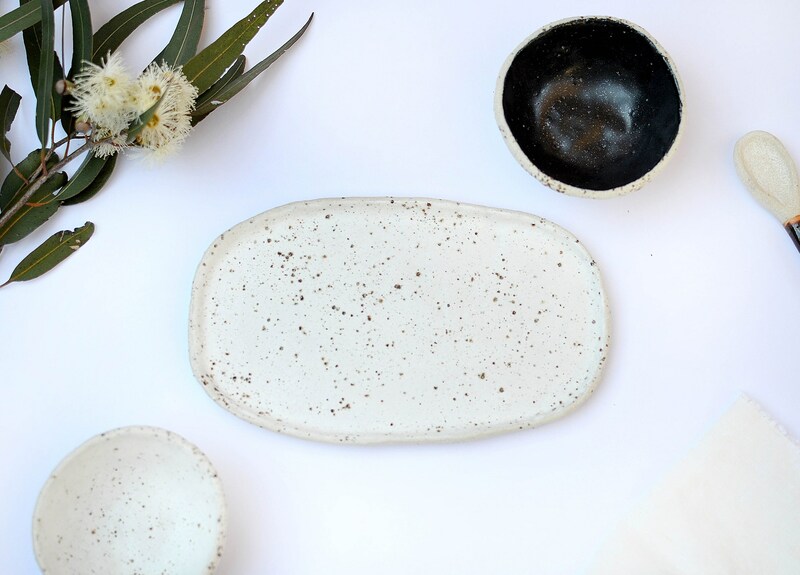 It is a hand made, one of a kind piece, therefore there will be subtle variations in surface appearance reflective of hand made pieces. 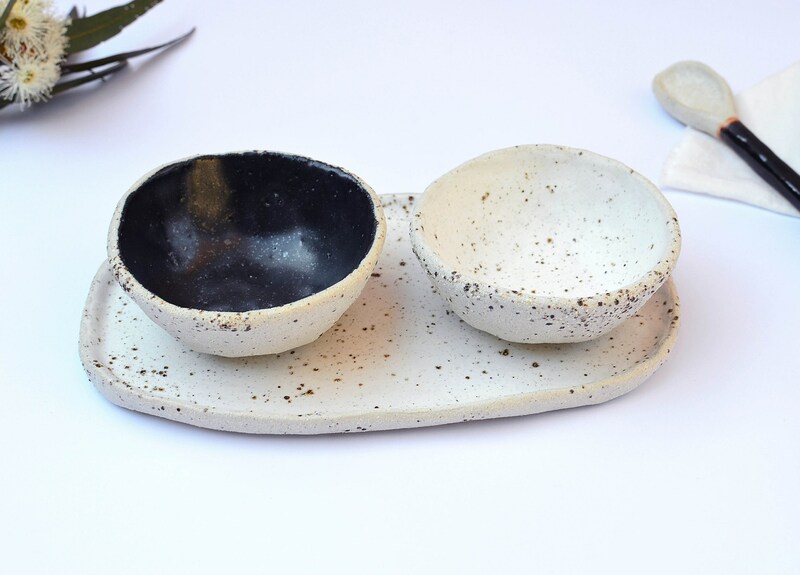 • Irregular shape tray measures: 21.5cm (8.5") length by 13cm (5inch) wide. 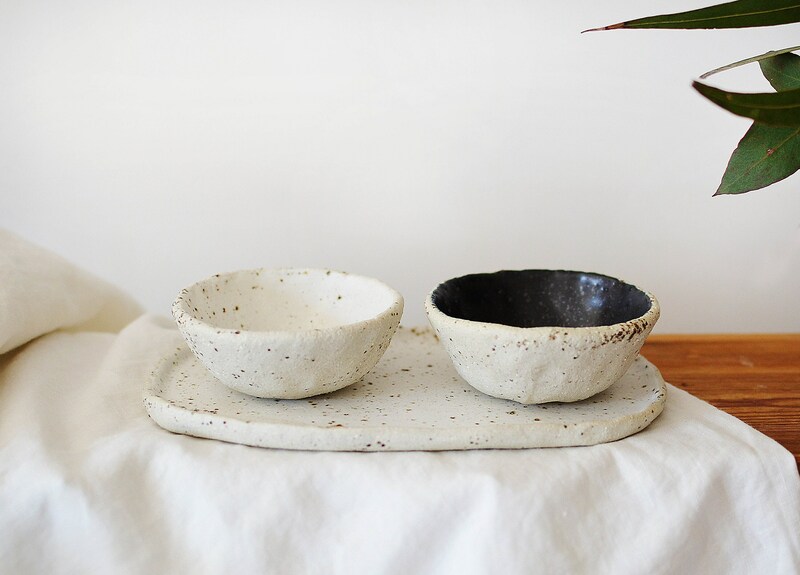 • Black and white bowls measure: 10cm (4") wide x 4cm (1.5") high.